1. 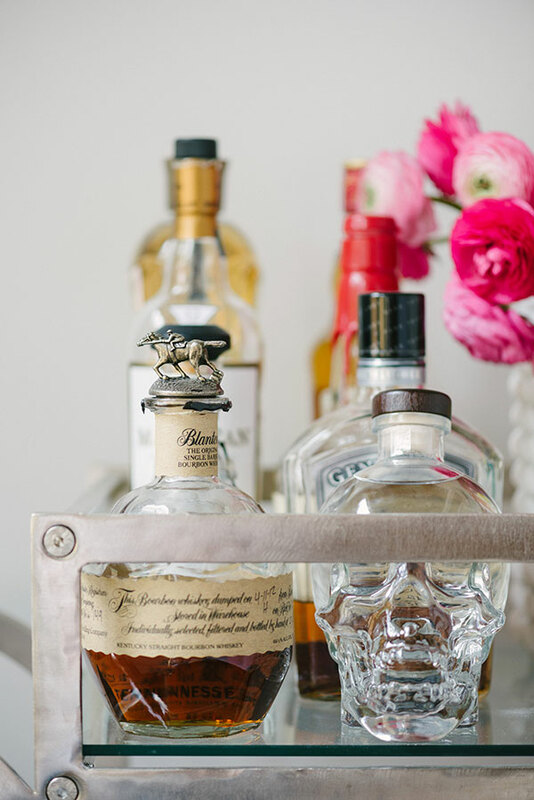 Let your bar cart tell the story of you. Mix in personal items that represent your personal style. 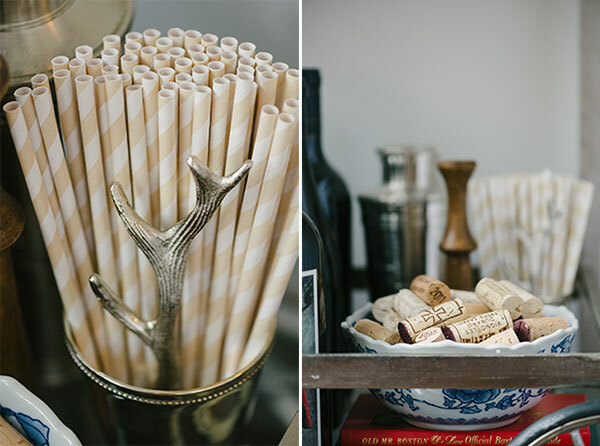 On my cart I have monogrammed mint julep cups that hold straws, vintage swizzle sticks from my great grandmother, wine corks from my favorite bottles of wine and vintage bartending books that I fell in love with while antiquing. 2. Don’t overdo it. You don’t have to cram every barware item you own on to your cart. Keep it flexible and switch out the colors, napkins, glasses and other components for easy entertaining designed for each gathering and/or season. 3. Mix it up. 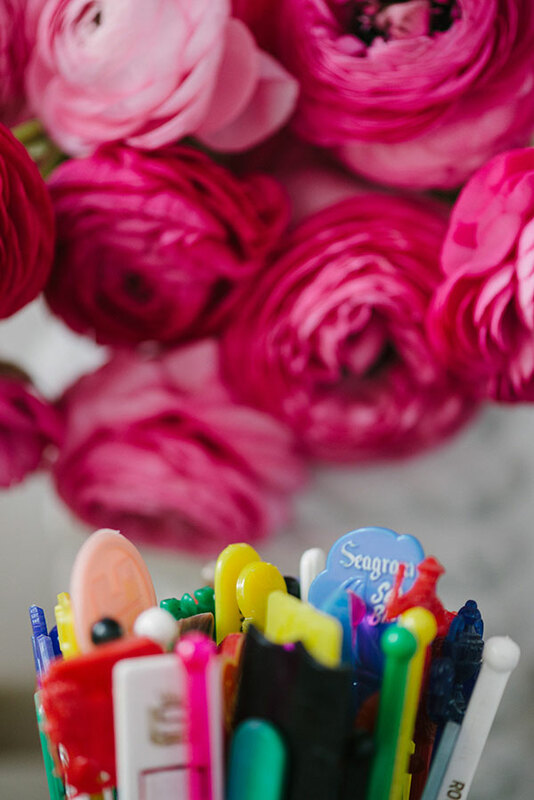 By mixing colors, textures, metals, vintage and modern items your cart will be full of personality (and won’t look like you ran out and bought everything for it in one fell swoop). 4. Consider investing in the actual cart. A good one will last you a lifetime! And from my experience, get one on wheels. Though it’ll likely live in one room in your home, it’s nice to be able to move it to a different space when entertaining. 5. Get the right tools! I am a firm believer that every bar cart should have all the tools necessary to make the perfect drink. Start with a shaker, muddler, opener, stirrer, strainer, ice bucket and tongs (or take the guesswork out by buying a complete set). 6. 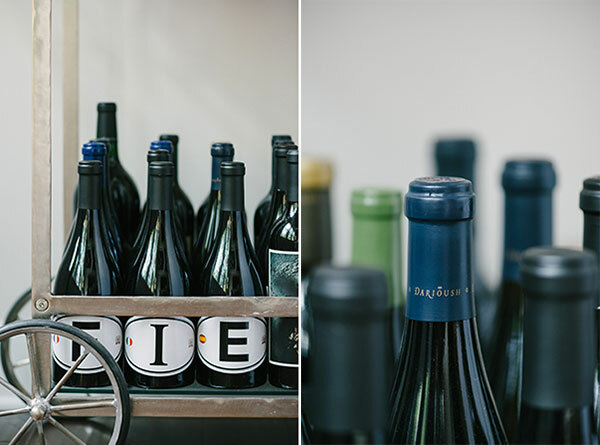 Pick bottles that will look gorgeous when displayed. Even if you’re not a fan of the liquor itself, you can always refill the display-worthy bottles with your preferred scotch, whisky, vodka, gin, brandy, tequila, or rum. 7. Pick wines that you plan on drinking within 3-6 months. Anything you plan on holding on to longer should be stored on its side, preferably at a 55 degree angle (yes, even red!). 8. Fresh flowers make everything better. Include a pretty arrangement in a really fabulous vase on your bar cart to help brighten up the design. 9. Don’t limit your bar cart to just booze! Most carts would make for a lovely coffee and tea spread, dessert or appetizer cart or even a place to hold gifts at a shower. 10. It should be both functional and beautiful. 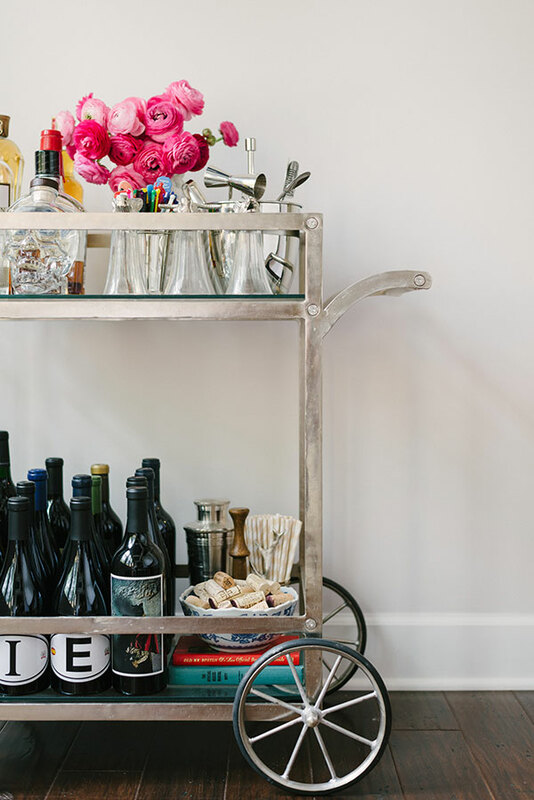 Your bar cart serves a very distinct purpose, but it should also be a piece that you love looking at. Gorgeous as always! And I love the actual cart itself. It makes perfect sense to have wheels on the cart… aside from that fact that it’s a ‘cart’, you never know where you’re going to need that bad boy! 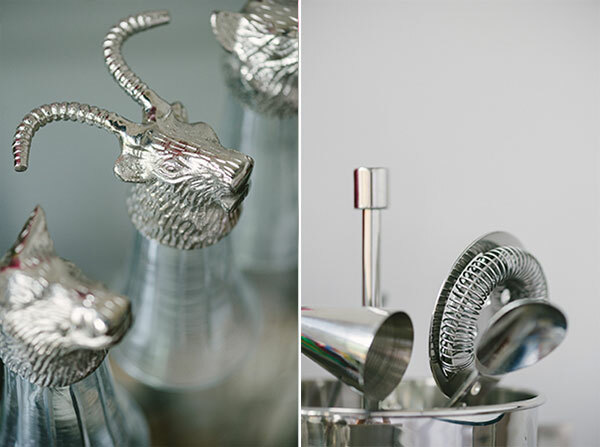 I’m obsessed with bar carts…but I don’t drink! I envision having one to mix all sorts of beautiful virgin cocktails though! Where is your cart from or is it vintage? I’m obsessed!! 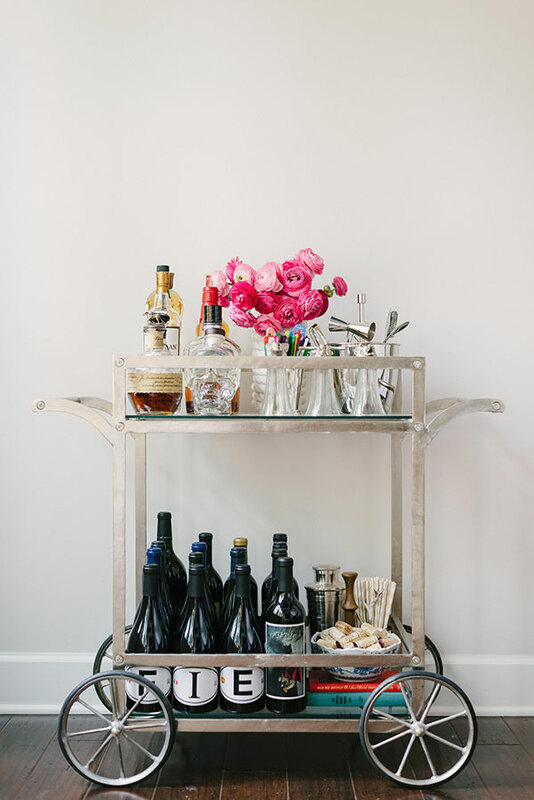 What a gorgeous bar cart!!! Never thought I would develop a crush on a bar cart. I need to find out where to get this baby ASAP. Also, yes, you should name her. Her name is Vita, as in life, as in Life of the Parteeeeee! Holla! What is the wall color behind the lovely bar cart? Where can I order that cart?? It is gorgous! I live in Tampa so I need to order it. Do you know the brand?